EVENT: Is the Vanderbilt Corridor the Future of East Midtown? The proposed East Midtown Rezoning has been a hotly debated issue over the past few years. First introduced by Mayor Bloomberg, and backed by Mayor de Blasio, the rezoning would allow developers to build larger and taller than the current Grand Central Terminal district zoning allows in exchange for financial contributions to the area’s infrastructure needs. The Department of City Planning feels the rezoning would ensure that the area maintains its spot as a global business center, but others think it would forever ruin the historic nature of the neighborhood. 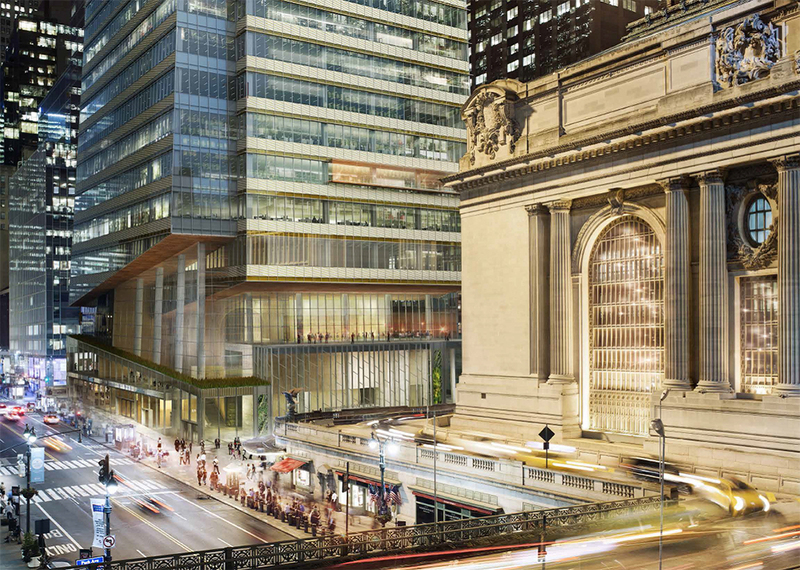 One of the most major components of the project is One Vanderbilt, a 68-story, 1,514-foot zigzag tower that will stand adjacent to Grand Central. Along with the building comes a reconfiguration of the Vanderbilt Corridor, the streetscape around the Terminal. 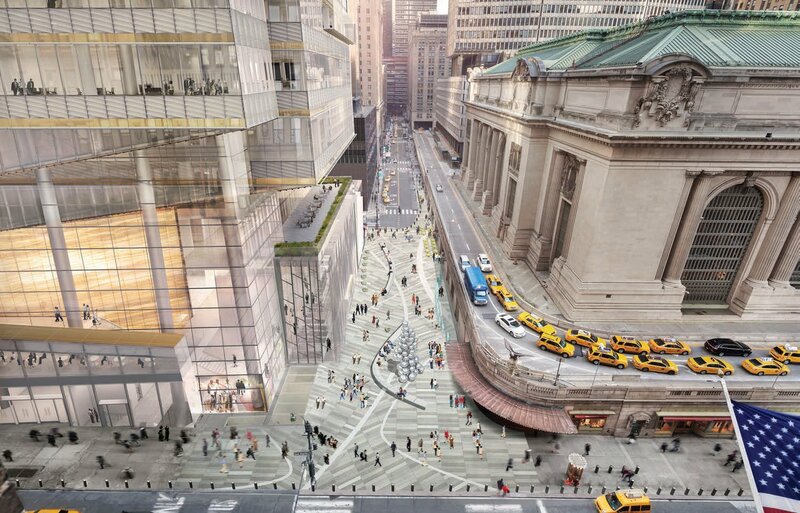 A panel discussion at the Museum of the City of New York on January 20th will examine both the tower and the corridor and what they mean for Midtown East. When completed, One Vanderbilt will be the tallest office tower in Midtown and third tallest in the city behind One World Trade Center and Extell’s Nordstrom Tower. As we reported in November, under the current zoning the developer SL Green Realty Corp. can build an approximately 1.2 million-square-foot tower. But they are seeking approvals from the city to increase the maximum FAR (floor-area-ratio) of the site from 21.6 to 30, which will bump up the tower’s total size to 1.8 million gross square feet (the Metlife Building, by comparison, is 3.1 million square feet). SL Green asserts that they are placing appropriate density at a transportation hub and they’re adding much-needed modern commercial space. They’re also sweetening the pot by providing a $210 million package of transit improvements, most of which will go to the 4, 5, and 6 subway lines. The event, which is co-sponsored by the AIA New York Chapter | Center for Architecture, the Municipal Art Society, and the Historic Districts Council, is taking place at the Museum of the City of New York on Tuesday, January 20th at 6:30pm. Tickets are available here.